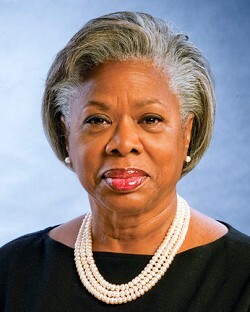 Dame Jennifer Meredith Smith born 1947) was the premier of Bermuda from 1998 until 2003, the first premier who was not a member of the United Bermuda Party. She is currently Bermuda's Minister of Education. William Alexander Scott (born 1940) is a politician in Bermuda who is the MP for the Warwick South East constituency. Between 2003 and 2006 he served as the Premier of Bermuda and leader of the Progressive Labour Party (PLP). Smith was born in 1947 in Bermuda, the daughter of a bartender. She was raised as a member of the African Methodist Episcopal church. She exhibited an interest in art from an early age, and later enrolled at the Art Institute of Pittsburgh, from which she earned an Associate's degree in 1970. Upon returning to Bermuda, she began work as a political reporter and editor for the Bermuda Recorder newspaper. Smith was the first female Progressive Labour Party Minister of Education, the first and so far only leader of the PLP to lead the party to win two consecutive general elections and the second woman to serve as premier. Smith was appointed to the Senate of Bermuda in 1980, and was elected to the House of Assembly of Bermuda in 1989 as a member of the Progressive Labour Party. She was elected deputy party leader in 1994, and succeeded to the leadership two years later upon the death of L. Frederick Wade. Smith led her party to victory in parliamentary elections in November 1998, in which the United Bermuda Party, which had dominated elections since autonomy was gained in 1968, suffered an unprecedented defeat. The Progressive Labour Party again won parliamentary elections in July 2003, but less than a week later, Smith was forced to resign as premier following a revolt within her own party. She was replaced by Alex Scott, but then was elected as Deputy Speaker of the House of Assembly. Smith is a member of the Council of Women World Leaders, an International network of current and former women presidents and prime ministers whose mission is to mobilize the highest-level women leaders globally for collective action on issues of critical importance to women and equitable development. Smith was made a Dame Commander of the Order of the British Empire in 2005 in recognition for her service to Bermuda and its people. She received Honourary Degrees from the Art Institute of Pittsburgh, Pittsburgh, USA (June 2003) (DHumL), Morris Brown College, Atlanta Georgia, USA (May 2000), and Mount Saint Vincent University, Halifax, Nova Scotia, Canada (October 2000). Smith received the “Woman of Great Esteem” award from Q-Kingdom Ministries New York, USA (March 2001). She also received an award from the National Congress of Black Women, Inc. Washington, D. C. USA (September 2001).